Open or Closed? THAT is the question…. “Mint in Box” has a nice ring to it, and for a generation of collectors the phrase has signified a perfect example of a desirable model, fresh as the day it was brought home. 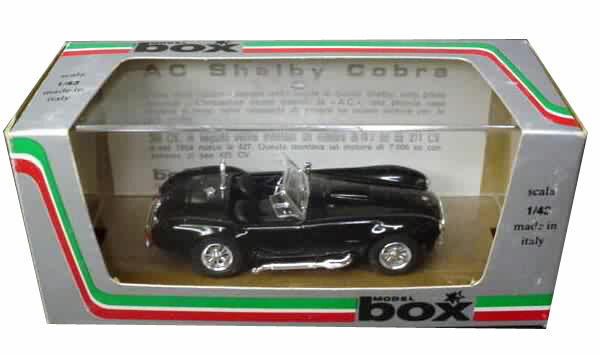 But for an equal amount of collectors, the thought of leaving a new diecast, slot, or resincast model in its box is too much to bear, and begs the question: “what fun is having a model if you can’t enjoy it in hand?”. It’s a tough call. Keeping a model in its original box can certainly add to the value when it’s time to sell or trade, but if you like opening features, under-the-skin detail, or the plain and simple joy of holding a well-done model in the palm of your hand, leaving your acquisitions under wraps just doesn’t make sense, no matter what the financial rewards might be down the road. It’s a debate as old as the hobby – and we’d like to hear from you which you prefer. Do you keep those new purchases strapped and screwed down in the original packaging, or do you take those beauties out and start having fun as soon as they arrive? Join us on our Facebook page and chime in – we’d like to know. With the economy the way it is, there is not room for speculators in this hobby, and IMHO that’s what MIB people are. All my stuff is displayed. I have no “trailer queens”. At one time I had over 1000 die casts. I take all my models out of the boxes and discard the boxes. Where would I store boxes for 1900 models? I collect my models because I like cars & trucks, I don’t collect them for their monetary value. Many of my models came from other collectors and also from toy shows. Many of the models that I purchase are bought for a fraction of the original cost. I also like to apply some minor modifications like painted bumper brackets, or black accent in the chrome grill, or silver rings on the wheels. To some this is decreasing the value, to me this is making the models more realistic. To each his own ideas. I have around 450 die cast cars on display in the mirrored clear cases. Most are 1/18th with 200 in 1/24th. I have every box stored neatly in an unused 4th bed room and 2 closets. The boxes do take up space no doubt, but if I ever do give the cars away or sell them, it seems to make sense to me, to have the boxes. I still consider all of my cars “mint in the box” as no dust or sun light or humid conditions, or other adverse conditions such as handling, have impacted my cars. My wife has made my lower level living room into a musuem, the Exoto and other high end limited edition cars, warrant having the boxes as well as all paper work involved. I did not start to collect for investment purposes, it just turns out the brands that I’ve collected have gone up very much in value through the last 14 years or so. I have a small collection of 100 or so. Some with and some without boxes. This is an interesting subject as I am currently contemplating on displaying them all out of the box. Do I keep the boxes? Where to store them is the problem? I’d rather much see them on display where I can touch, feel and enjoy them! Some of them rare with COAs. Maybe just keep the boxes for the rare ones?